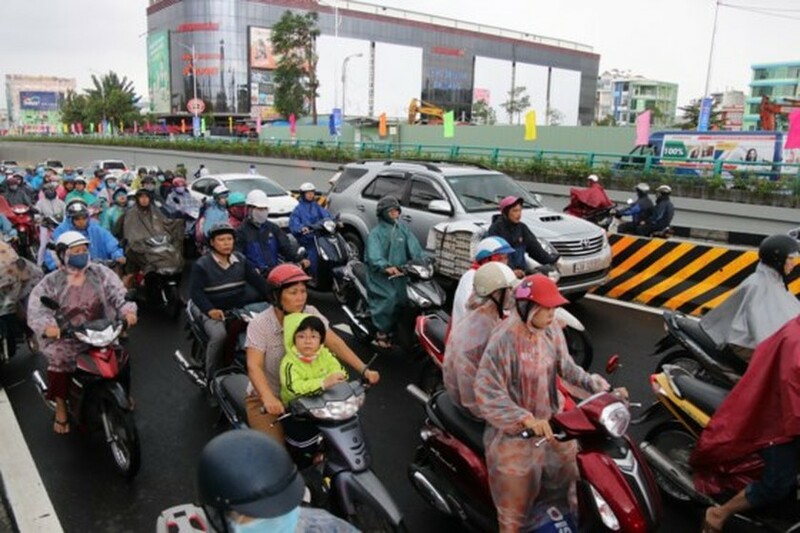 A ceremony to open to traffic for a road tunnel at the intersection of Dien Bien Phu and Nguyen Tri Phuong streets was held in Da Nang city this morning. After ten months of construction, the project was completed two months earlier than contract scheduled. It was designed two branches of Y shape with total 432 meter long. Of these, there were 160 meter long tunnel and 172 meter long approaching road. 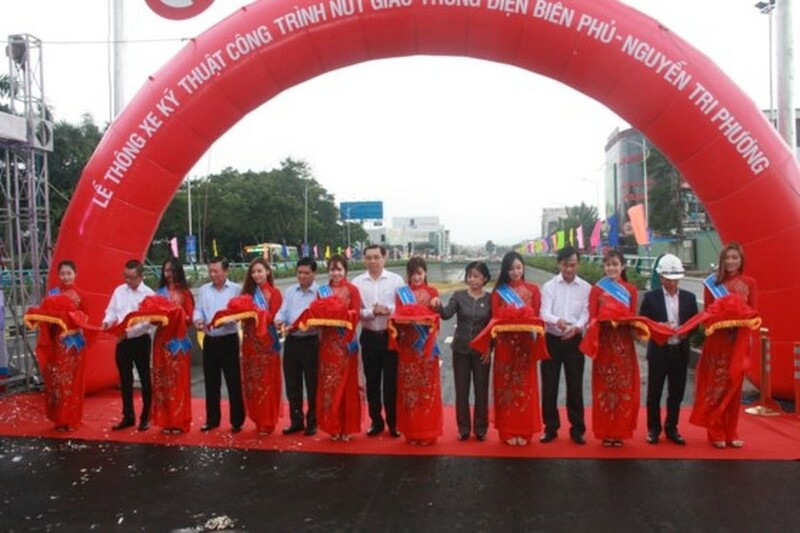 The surface of tunnel could become priority lane for the Dien Bien Phu- Nguyen Tri Phuong Bus Rapid Transit system. 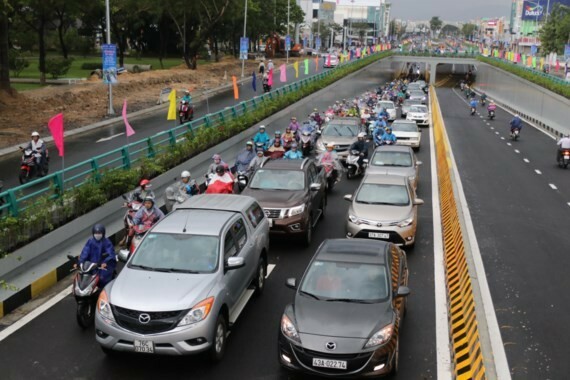 The tunnel project has total investment capital of VND 118.3 billion, and is the final largest construction project of Da Nang city to welcome APEC event. 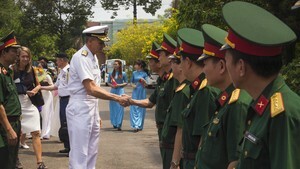 At the ceremony. 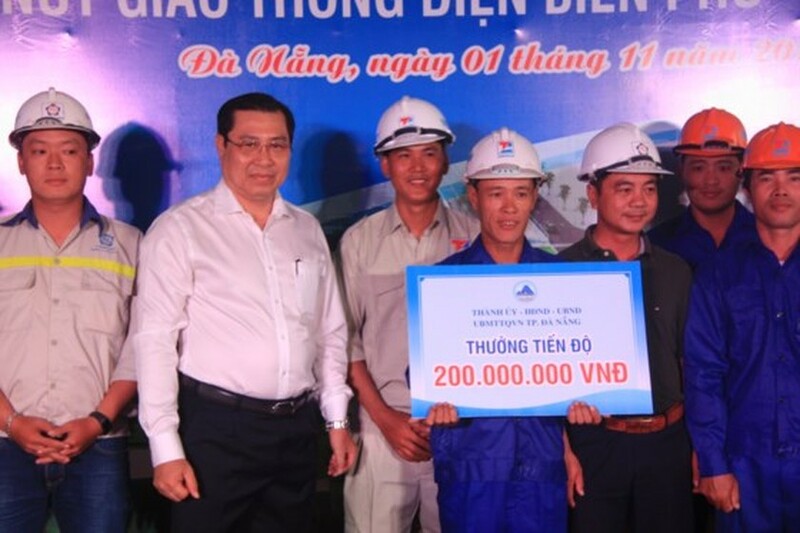 Chairman of the People’s Committee of Da Nang city Huynh Duc Tho, on behalf of the Provincial Party Committee, People’s Council and the People’s Committee rewarded VND 200 million for working team because they finished the construction on schedule. 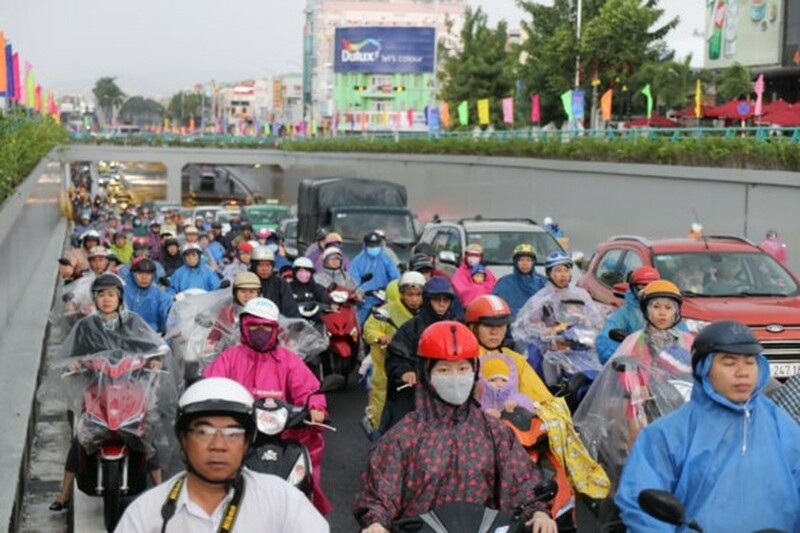 Speaking at the ceremony, Deputy Chairman of the People’s Committee of Da Nang city Nguyen Ngoc Tuan said that the tunnel project would contribute to reduce traffic jam, accidents in the city's busiest roundabouts and the city’s infrastructure and socio- economic development.